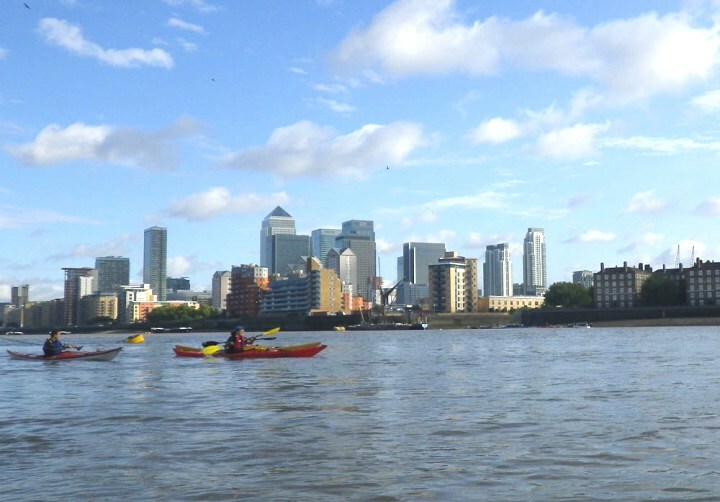 Shadwell Basin Outdoor Activity Centre will be running their second annual Paddlefest event on 26th-27th September, based at their site at Shadwell Basin, London E1. Aimed at people who already kayak or canoe, the Activity Centre is aiming to celebrate and share their paddling experience, encouraging people to gain new skills, try out new things and socialise with other paddlers. Shadwell Basin is an ideal location, having both access to the tidal Thames, and usage of a large Victorian shipping basin. Shadwell Basin Outdoor Activity Centre will be using both of these for a fun filled and action packed weekend, involving workshops, river paddles, demo boats, evening lectures and a bar and BBQ on Saturday evening. The Shadwell Basin Paddlefest will be held on the weekend of the 26th– 27th of September. The Sunday sees the annual “No Tide Day” on the river, when the Thames Barrier is closed for the full day, giving a great opportunity to experience the Thames at its calmest. The cost is £20/£40 for the day/ weekend. Accommodation is available on the Saturday night for £10 and is basic with access to a hall and camp beds. Equipment such as buoyancy aids, waterproofs and a limited number of boats are available over the weekend. If you would like to bring your own personal boats that is great and secured storage is available overnight. Thames Leader Training/ Safety Management – Aimed at Level 2 coaches and/ or 4 star paddlers who would like to learn the skills required to lead groups on the Tidal Thames in appropriate sheltered conditions. « Ocean Film Festival comes to London 8-10 October 2015!